Mr. Chancellor, Hugh Possingham is a renowned scientist whose interdisciplinary pursuits and innovation have led to the development of sound conservation principles worldwide. Described as the world’s foremost quantitative ecologist, his academic career has followed a diverse pathway, beginning with his first position as a lecturer in Applied Mathematics at the University of Adelaide. Dr. Possingham was subsequently appointed as Professor of Applied and Molecular Ecology before moving to the University of Queensland, where he is currently the Vice Chancellor’s Senior Research Fellow and holds a dual appointment as Professor of Mathematics and Professor of Ecology. His research activities include a number of expanding fields within Conservation Biology, Basic Ecology Theory and Applied Ecology. Most notably he played the lead role in the development of a systematic conservation planning tool known as Marxan, which is used today in over 100 countries to support the design of marine and terrestrial reserves, including the rezoning of the Great Barrier Reef Marine Park, the largest systematically designed reserve network in the world. Marxan’s other applications have included protected species planning in New Zealand and conservation prioritization in British Columbia’s Great Bear Rainforest. 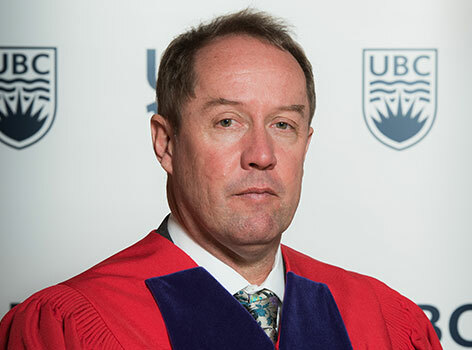 His work at the University of Queensland also includes serving as Director of the Centre for Biodiversity and Conservation Science, which connects his conservation research colleagues and graduate students with networks of Australian and international research teams working on the science of effective decision making to conserve biodiversity. He has co-authored 26 numerous papers that have been published in the world’s leading pre-eminent science journals and has received numerous awards and fellowships, including recently becoming the first Australian elected as a Fellow of the Ecological Society of America. Mr. Chancellor, on behalf of a university with deep commitments to research excellence and sustainability, I ask you to confer the degree Doctor of Science, honoris causa, upon Hugh Philip Possingham.